Letter to Melanne Verveer regarding the failure of courts around the world to protect victims of domestic violence. 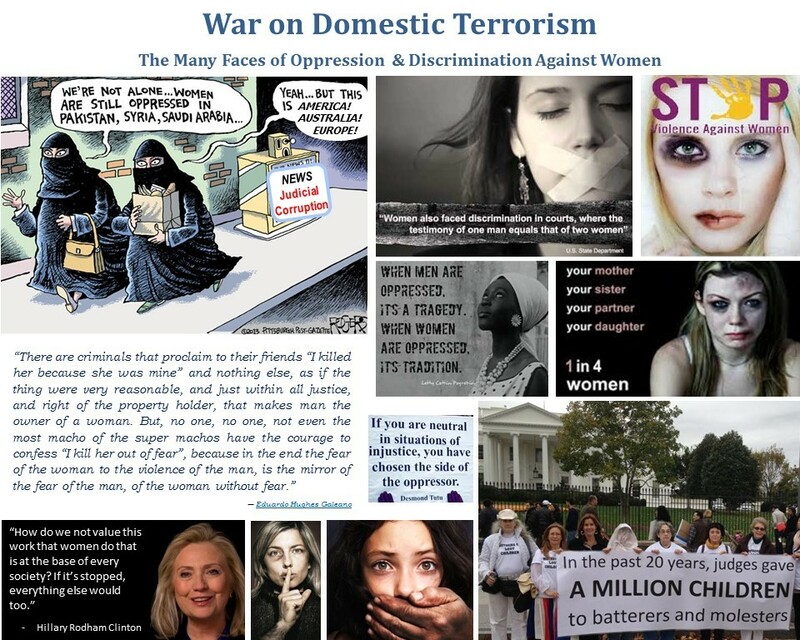 Promoting & defending women’s rights in Afghanistan, Burma, Colombia, Guatemala, Saudi Arabia… gives the false impression that women’s rights in North America, Europe and Australia are protected & defended! With the 57th session of the Commission on the Status of Women convening this month, and the elimination and prevention of violence against women at its fore-front, I would like to take the opportunity to bring several issues to the attention of the Office of Global Women’s Issues. 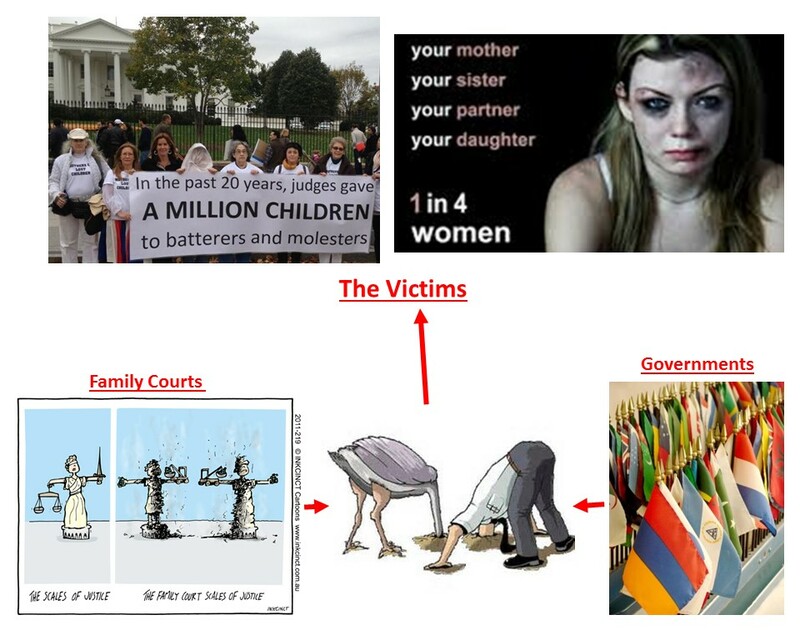 I hope by bringing these issues to the attention of the Office of Global Women’s Issues at the Department of State, the US government and its agencies will be encouraged to assist organizations across the globe who are developing programs, initiatives and protocol which promote good practices, transparency, and accountability within judicial systems and family courts. In this way not only can the promotion of democratic principles and practices be advanced worldwide, but violence and discrimination against women may be effectively and comprehensively eradicated.